We leave tomorrow for our 10 day adventure in Costa Rica. I’d be lying if I said I was totally relaxed and ready for this trip. 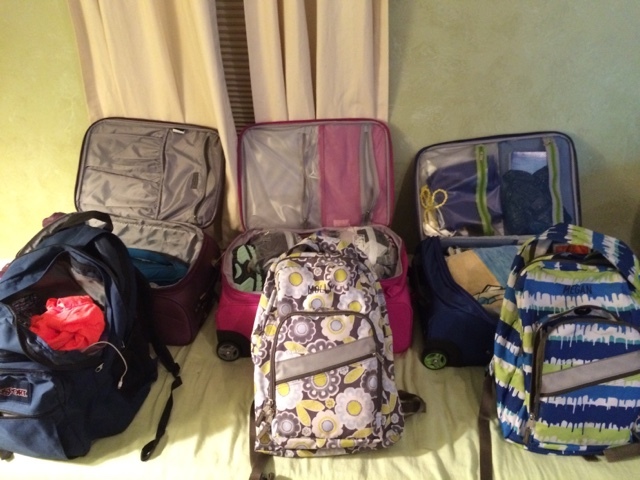 Are you ever ready to go on an international trip with 34 kids under the age of 15? Not sure anyone could ever plan for all the possibilities! Nevertheless, in the wee morning hours on Wednesday, we will embark upon our journey to Central America to see what this country called Costa Rica is all about. This trip has the added challenge of not allowing any checked bags. 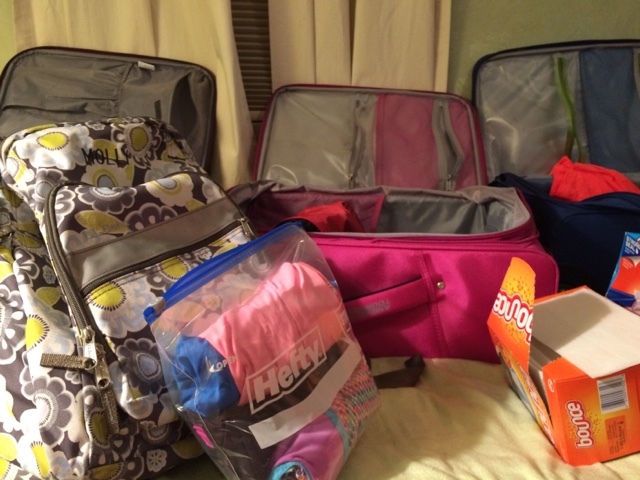 I have a tendency to over pack, but have learned a lot during my last two international trips. First, you CAN do laundry in your hotel room if you bring the right kinds of clothes, a clothes line and some travel detergent. Second, you won’t wear half of what you bring so leave it out when trying to close that overloaded suitcase. Third, there are convenience stores and drug stores everywhere. If you need something while abroad, most likely you will not have any trouble securing it. After all, Costa Rica’s main industry is tourism. They cater to tourists. Costs of basic toiletries and medications might be higher, but things are readily available. Having said that, there are a couple of things that I am packing this time that I have forgotten on my last two trips. One of those things is allergy medication. You never know when the allergens from foreign plants will cause an allergic reaction. I paid $26 in Mexico for some Allegra because the young lady who traveled with us had a severe reaction to the jacaranda trees in Mexico City. Those trees don’t exist in the Midwest, but they caused a big reaction for her. Not wanting to try a generic or a different formula from what she uses in the States, we opted to go for the brand name. It would have been a lot cheaper if she had just packed some just in case. Lesson learned. I’m also packing baby wipes. These come in handy in so many places. Toilet paper is not always available and when it is, it isn’t always free. Solution: baby wipes. Perhaps not the most environmentally friendly option (I don’t flush them, FYI), but they can help out in a pinch. They are also great for removing make-up, cleaning hands and wiping down surfaces. I will never again travel without them! I spent the afternoon going through my stockpile of Costa Rica trip items that has been growing on my dining room table. Things like bug wipes, waterproof phone cases, travel journals, motion sickness medications and ponchos have been carelessly tossed into a laundry basket in anticipation of today’s main event. I’ve been doing laundry nonstop for the past two days to make sure that anything and everything we want to pack is clean and ready to go. The question is: will it all fit? I still have a few things to shove in like electronics, headphones and snacks. I think we are ok on space and I look forward to shedding some weight along the way (trial sizes, snacks, socks with holes in them, etc.). I guess the only thing left to do is double check the packing list and start hydrating in preparation for our long travel day. Next post will be from Costa Rica! Can't wait to read about all your adventures. Have a great trip. I'll look forward to reading about your adventure every day! That's a relief. In Mexico, one often has to pay to use the bathrooms and toilet paper is handed out by the square depending on your tip! In my past travels to Costa Rica, I've never experienced a toilet paper shortage. Even when we stayed on a very isolated biological reserve, TP was readily available.